How do I use the MME Rhinestone effect? Where can I download the Rhinestone effect? Can I use Subset-extract to control the effect? …adds sparkle to your models! 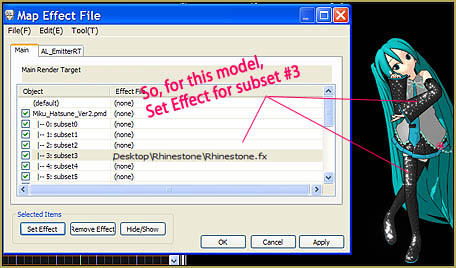 The Rhinestone effect v002 looks great and is easy to use. Download it here (it’s the top one in that list). … and now your zip-folder should be downloaded. 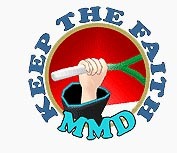 EXTRACT ALL using Bandizip. … with Rhinestones all over your model! When you apply the MME Rhinestone effect it COVERS your entire model with the sparkles. … to apply that effect to only parts of your model. 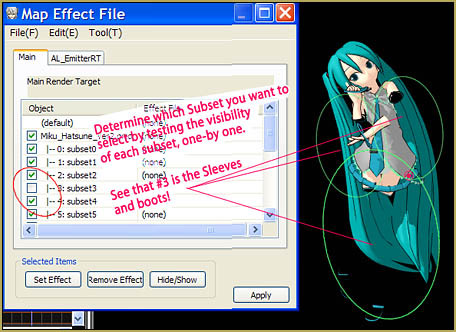 Don’t apply the effect to your whole model. 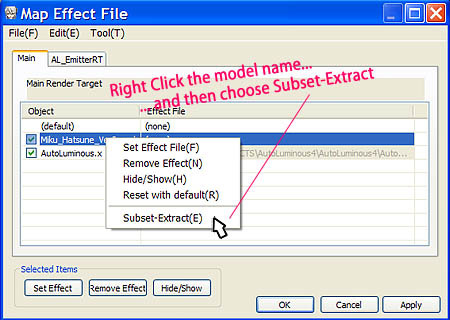 Instead, go to Effect Mapping and Right-click your model and choose Subset-Extract. Then experiment, a little, by turning off and on the various parts of your model until you find the very part you wish to Rhinestone. Turn ’em all back on, again and apply Rhinestone.fx to only those subsets you choose. To make those rhinestones “Pop!”, turn on Autoluminous. Adjusting the Si size of Autoluminous will adjust the brightness of the sparkles. Read the details in that ReadMe… looks like you can adjust the color of the sparkles… and adjust other attributes, as well. 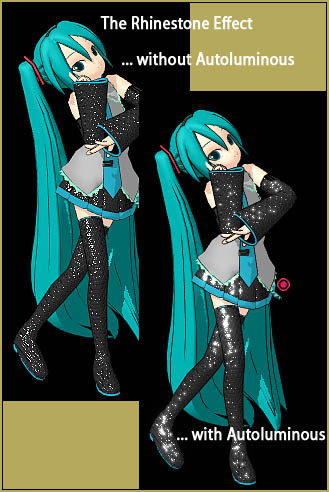 Have fun with the Rhinestone Effect!